Sad news. When I was only wee I had an obsession with Mork and Mindy. I remember every trip to the store to buy clothes would usually include a few episodes of pleading with my parents to buy me a pair of rainbow suspenders. I loved him in Garp. I loved him in Dead Poets Society. I loved him in Hook. I loved him in the big roles and I loved him in the cameo roles. I even loved him What Dreams May Come. This one hit surprisingly hard. Robin Williams was just one of those guys that was larger than life, and always around. You would never expect him to go like this, despite the cracks. Also didn't help that he died on my birthday. Thanks for sharing that, hal. And Norm. That's how I still feel. And I never met Robin. 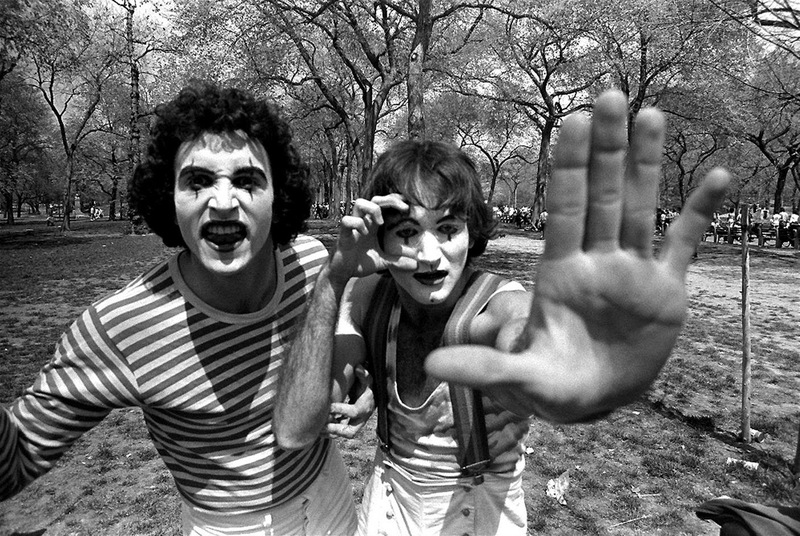 In 1974, photographer Daniel Sorine photographed a couple of mimes performing in Central Park. 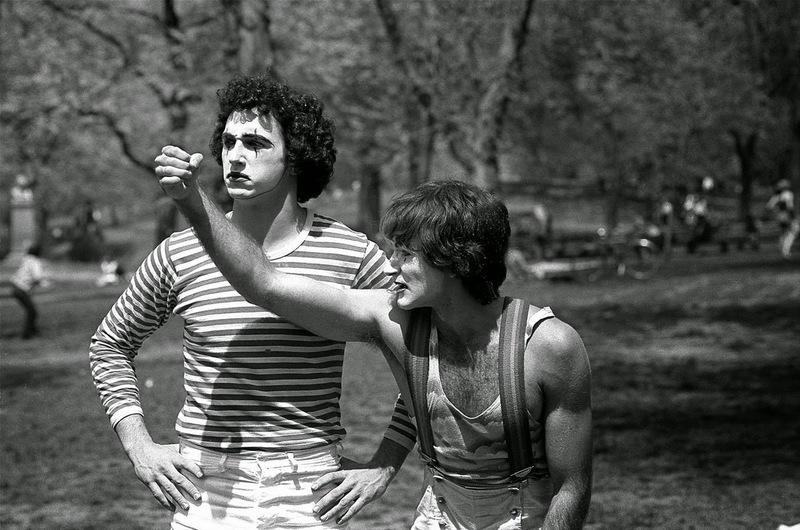 35 years later, he revisited the photos and realized he had captured a then-unknown Robin Williams. Page created in 36.571 seconds with 21 queries.